Immaculate single story move in ready 3 bedroom, 2 bath home in beautiful Lake Wildwood. Roof, windows and new HVAC in 2015. Beautiful laminate floors throughout. Many upgrades make this sweet home very desirable. Enjoy the back deck while your animals enjoy the pet enclosure. Lake Wildwood boasts a 300+ acre lake for swimming, boating and fishing. 18 hole championship golf course, 5 parks with beaches, beautiful new clubhouse, community center, tennis courts and more. Close to the main gate. Only a few steps. 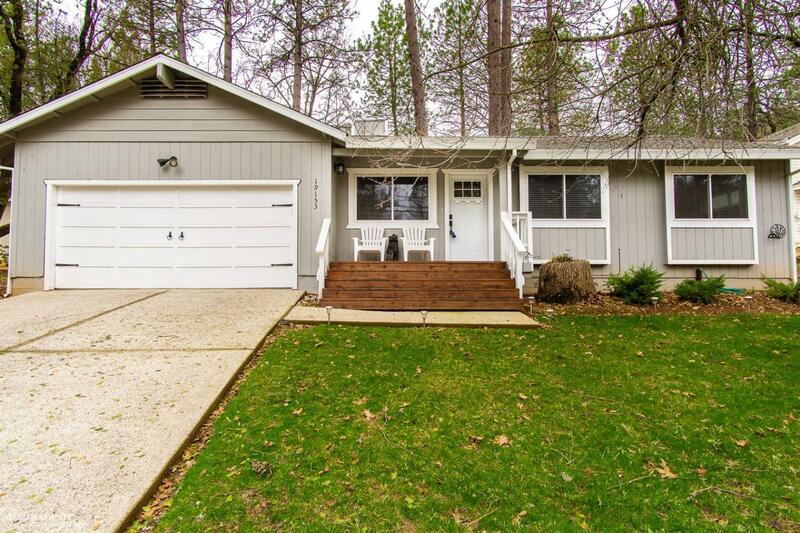 © 2019 Nevada County Multiple Listing Service. All rights reserved. Information deemed to be reliable but not guaranteed. The data relating to real estate for sale on this website comes from Nevada County Multiple Listing Service and the Broker Reciprocity Program.sm. Real estate listings held by brokerage firms other than Remax Performance are marked with the BR logo and detailed information about them includes the name of the listing brokers. Listing broker has attempted to offer accurate data, but buyers are advised to confirm all items. The information on this form is from varying sources. Neither the brokers nor the agents nor the Nevada County Multiple Listing Service have verified it. Buyer is advised to consult with appropriate professional experts. Information last updated on 2019-04-20.